One of the most important roles of local government is to protect their citizenry from harm, including helping people prepare for and respond to emergencies. Making local government emergency preparedness and response programs accessible to people with disabilities is a critical part of this responsibility. 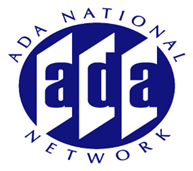 Making these programs accessible is also required by the Americans with Disabilities Act of 1990 (ADA). Join this session to learn more about what has been occurring across the country in this area and best practices for implementation.